This stunning desk was painfully conceived and constructed with quality and skill. 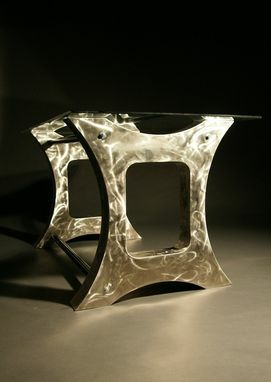 Polished steel legs, reinforcing steel bars, and beautiful glass top make this desk truly one of a kind. 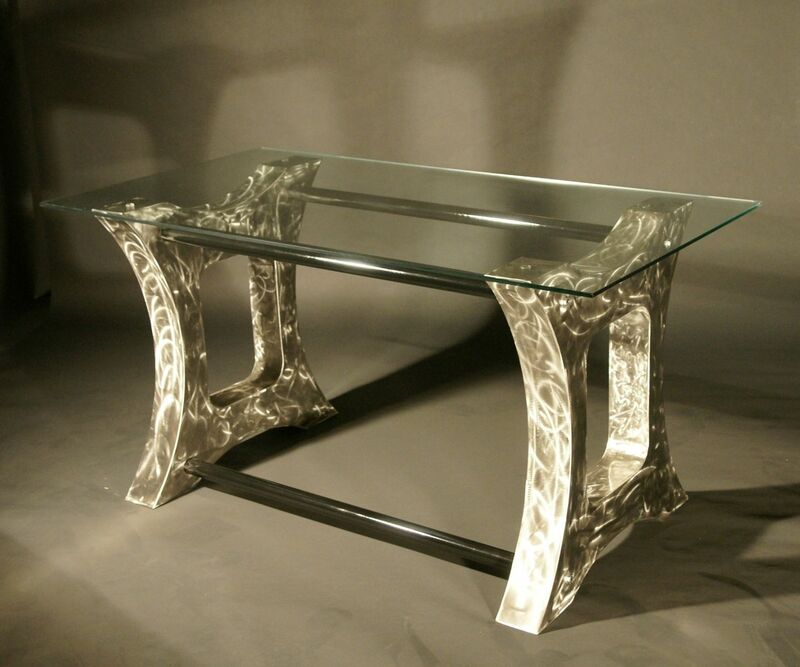 Here at Fast Lane Customs we bring you the highest quality handmade American furniture.